Life’s short…Live it with zest! 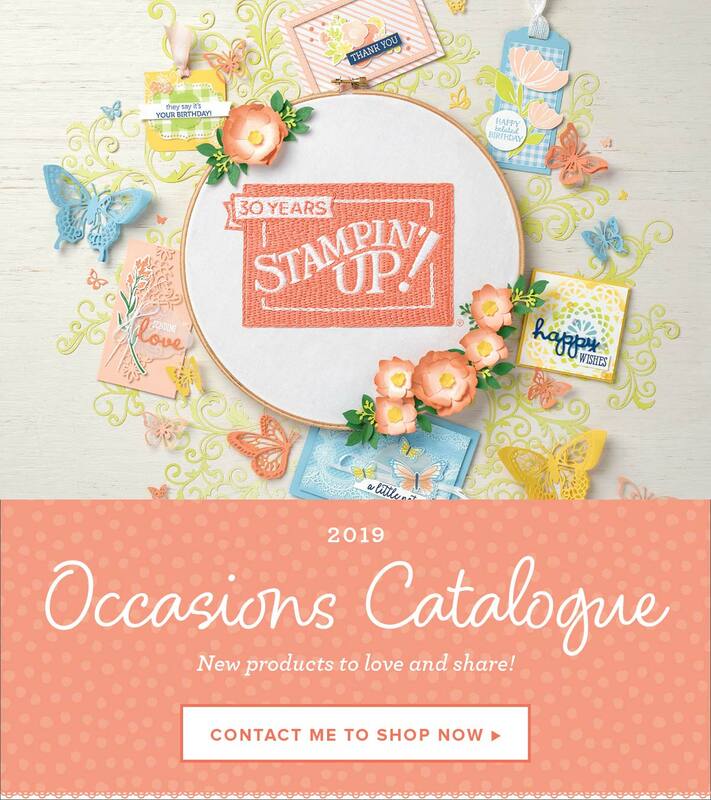 Stampin’ Up!® Demonstrator Karen Robinson | Life’s short… Live it with zest! I’m playing along with the Paper Players Colour Challenge #348 this week and as soon as I saw the colours that had been chosen I knew exactly what set I wanted to use… the brand new Lemon Zest stamp set. The lemon and lime slices were randomly stamped in Daffodil Delight and Lemon Lime Twist on Whisper White cardstock to create a bright and cheerful background. I punched out a few with the 1-3/4″ Circle Punch, added a sentiment to two of them and popped them up with dimensionals on the front. I adhered these two layers to a Thick Whisper White card base and added a little Basic Black Baker’s Twine for a simple embellishment. I added the same layers inside with just a little stamping on the bottom edge. I used a post it to mask of the stamped area and I really like the rough edge that was the result. This was such a quick and easy and fun card to make, the only thing I think I would have done differently is to have used Lemon Lime Twist for the card base, I think it would have really made the colours pop! I think I’ll have to do a re-make and check it out. If you’d like to see a re-make, let me know and I’ll pop up a picture. I hope you enjoyed my project today and that you’ll have a look at this fun set, it’s got some great sentiments and is also available as a bundle (save 10%) with the coordinating punch. Next Post Stylized Birthday… Step-it-Up! Thanks for your kind words. I really enjoyed this weeks challenge, perfect colours to brighten up a rainy week. I am surprised I didn’t see more of this set in the gallery this week! This is just delightful and zesty! LOVE it! Perfect choice for the challenge! Thanks for playing with my colors at the Paper Players this week! What a perfect card for this week’s colours Karen! I love your zingy lemons and limes, with simple layering. Your black sentiment and twine really pop! Thanks for joining us over at The Paper Players this week!